The gallery is closed from 4th until 27th of August for a summer break. The big summer exhibition at Aspect Art Gallery can be seen throughout July and the first week of August. From August 4th until August 27th, the gallery will be closed for a summer break, and from August 28th we will open again for all who have not been able to enjoy the General Exposition. 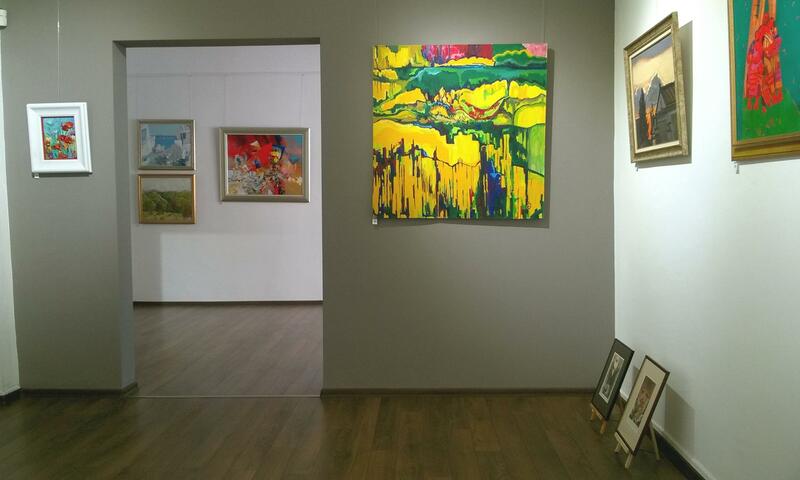 The General Summer Exhibition includes over 50 paintings, graphics and sculptures by some famos bulgarian and foreign artists like Nedko Itinov, Stanimir Videov, Valeri Tsenov, Gancho Karabadzakov, Iliya Zhelev, Penka Nikova, Krastio Todorov-Ketsa, Eli Stancheva, Milko Dobrev, Petar Velikov, Rumen Nedchev, Vihara Grigorova, Gencho Nakev, Nikolay Dobrev, Ivan Hristov-Groga, Zdravko Vasileva, Georgi Sterbev, Hristo Nikolov, Hinko Hinkov, Iliana Manukova, Angel Geshev, Nikolay Nyagolov, Ivo and Nina Petrovi, Vladimir Zapryanov, Yulian Yordanov, Hristo Kerin, Vanya Gogelova, Michaela Ivanova, Maria Raicheva, Hikmet Četinkaya. The exhibition will remain in Aspect until September 11th 2018.